Anyone who loves something a little more exotic should try the Trek'n Eat version of a Red Fish Curry. Like all products from Trek’n Eat, the Fish Curry contains neither artificial colors nor preservatives nor added flavor enhancers. 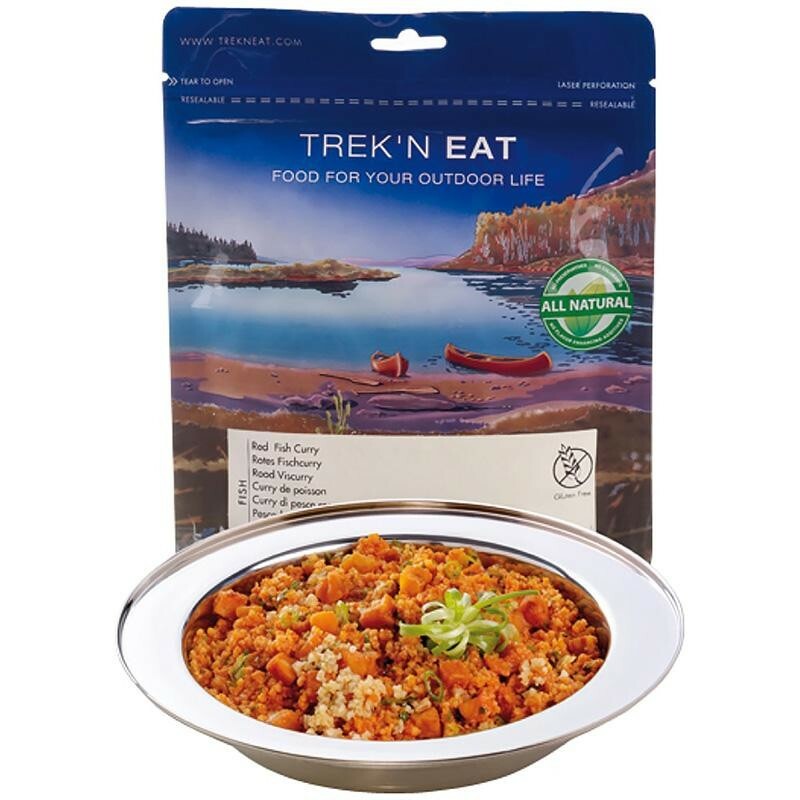 Trek’n Eat meals are tasty freeze-dried foods that can be prepared with just water. Perfect for any time when proper meals are required but time, space and ingredients are at a premium. Preparation is simple: just add boiling water, stir, leave to soak for 8 - 10 minutes and the meal is ready. Trek'n Eat Red Fish Curry with Rice is Lactose and Gluten Free. Contains fish and celery.